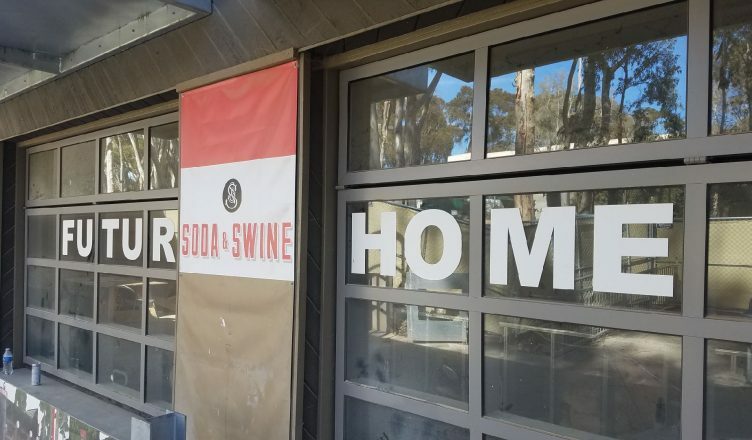 Soda & Swine, the eatery set to occupy the Porter’s Pub space in the Old Student Center, will finally open its doors in mid-March after slowdowns in the restaurant build-out process delayed the launch by six to eight months, Consortium Holdings founder Arsalun Tafazoli informed the UCSD Guardian. No set opening date was included last March in the announcement of Soda & Swine’s coming arrival on campus, but according to University Centers Director Sharon Van Bruggen, Soda & Swine was expected to have been in business by now. The Soda & Swine at UC San Diego will be the third iteration of the restaurant, with two locations already operating in North Park and Liberty Station. All three are owned and developed by Consortium Holdings. Also responsible for UTC’s Raised by Wolves, Consortium Holdings seeks to establish “public gathering spaces” as opposed to standard restaurants and bars, and it is the advanced design required by this concept in combination with university bureaucratic processes to which Tafazoli attributes the delay. One example that Tafazoli offered of a point of contention between Consortium Holding’s design for the space and the university’s bureaucracy was the inclusion of a visible bar, particularly in the outside patio area. According to Tafazoli, while Soda & Swine was intended to be one of the vendors on campus designated to serve alcohol, the way in which that alcohol is served is an issue. Tafazoli explained that negotiating and earning approval over particular aspects of the layout, such as the bar, meant that the actual construction for the restaurant buildout began later than expected. The build-out is currently in the infrastructure phase, meaning that the construction is focused on the “bones” of the restaurant, such as power cables running underground. The finishes, when the restaurant actually puts in the unique elements of its design, have yet to be started. Staffing for the restaurant will begin in February, during which Soda & Swine plans to hire qualified students. Tafazoli and Van Bruggen both agree that no major issues with the building have interfered with the build-out process. Van Bruggen and University Centers Advisory Board Chair Alex Morrow highlighted the two existing Soda & Swines’ ability to create social connection and their good food but stated that Consortium Holdings appears to be moving slowly with their construction project. When asked about the numbers of workers at the construction site and their schedule, Tafazoli stated that has no knowledge of such figures because the work is done by subcontractors. Tafazoli did provide the Guardian with contact information for the subcontractors, but they have yet to respond. Morrow noted that a number of students have expressed dissatisfaction with how long Soda & Swine has taken to open. Tafazoli, however, believes the delays will be insignificant in the long-term and that once Soda & Swine launches and students are able to see the final outcome of the project, they will be more forgiving. According to Van Bruggen, University Centers plans to continue asking Consortium Holdings to increase the pace on their buildout.